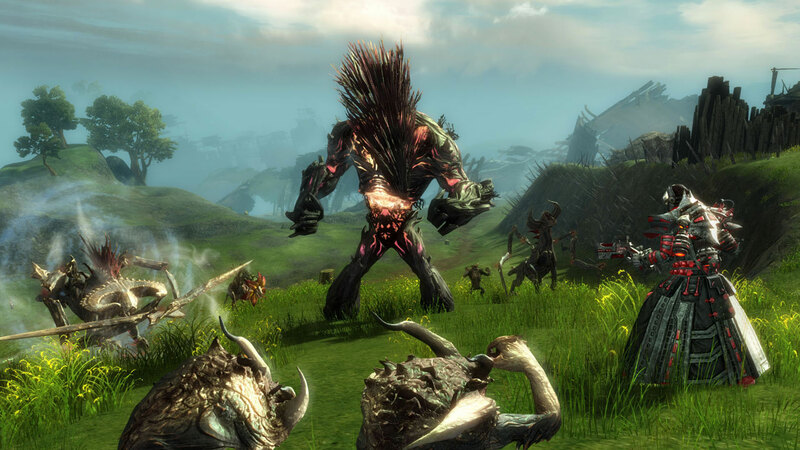 This weekend marks the release of a new sort of event for guild wars 2. While there have been weekend events and some holidays in the past none of them have been accompanied with so little fanfare. The Mordrem invasion exists to be little more than a distraction from the day to day of GW2. The event has seen its share of problems and quite a few people have directed a fair amount of displeasure ArenaNet’s way. I could rehash all the good suggestions on reddit and the official forums for how ArenaNet could fix the problems event. I could tell my tale of patch day bug woes. I could even grumble about the amount of time I have available to participate, but I’m not. I’m going to talk about why this is one of the most important developments in the GW2 development cycle. I’m going to share how, like a rare Maguuma orchid; events like this must be carefully tended by the community and encouraged to grow into something beautiful. A feature that many players have asked for over the years is weekend events. In Guild Wars One, weekend events either buffed reputation/achievement track gains or added thematic and interesting consumables to the drop tables of all monsters in the world. It was a fun way to encourage and reward players for getting in game and exploring the world. Currently the periodic call of the mists functions as a weekend event, but is solely focused on sPvP. The invasion event changes that focus and gives players a quick and dirt event that shakes up PvE a little. This event isn’t big and flashy like marionette, or complex and meaty like SAB or Silverwastes. The invasion is a simple series of events, it encourages the casual zerg that has made GW2 so popular with drop-in/drop-out gamers. The last time we got content like this, without a big story push, was October of 2012 when they added a few open world dungeons and Modus Sceleris. There was little fanfare for those events, but people still find them today and excitedly post about them on reddit. If ArenaNet has a team of even two or three that can focus on creating small events like this and other dynamic events to pepper throughout Tyria, it will add a great deal of longevity to the core game and serve to keep it relevant for the old guard. Beyond adding something for old players to do, the invasion draws new players into the contemporary story of the world. It lets them see the Mordrem and gives them some down time between events to ask more experienced players about these strange plant creatures and where they come from. It lets a level 18 feel like they are at the forefront of the story rather than lagging three years behind. It also serves to inform new players that the enemies of the core game are nothing compared to what is coming. (Note: I do not condone the feeding of newbies to Mordrem TerrOrgriffs, but I wanted to point out there is a silver lining to the difficulty spike.) Additionally, the tangential thought necessary to figure out the events (throwing bombs, building catapults) will help new players discover parts of GW2 game play that they may not have encountered before. I for one enjoyed the moment to moment game play of each event, and feel four days is enough time to play the events before they wear out their welcome. Was the event broken at launch? Yes. Are the rewards paltry compared to the time available to participate? Yes. Is the content excessively difficult and unrewarding for new players? Yes. Should ANet take the generally negative response in the community as a reason to never release this sort of content again? NO. While flawed the invasion is a fun weekend event that I hope will breed more like it. It may be easy to berate ArenaNet over the negative elements of the event, but it is important to remember how many things, such as; dungeon revamps, changing dynamic events in zones and Southsun Cove that were all abandoned after intense negative feedback. If we want ArenaNet to feel comfortable with taking risks with events like this, we as the community must be softer in our approach. As ArenaNet have shown with world boss design, the more practice they have the more likely they will find someone who understands the nature and needs of the specific design space that Weekend Events inhabit and that is good for everyone. If you would like to shoot ArenaNet some constructive criticism you can do it here. Would you like to weekend PvE events refined? Let us know your thoughts in the comments.